Some of our favourite hotels and B&Bs, run honesty bars – you fix yourself a drink as if you were at home, jot it down and settle up when you check out. Very ‘grown up’ and civilised we think. However before we could put the honesty bar in place we needed to secure a premise license (Bruce already has a personal license). This turned out to be a little more convoluted – some might say archaic – than you might imagine. We needed to display notices at the end of the drive using light blue paper (not too light it turns out – we were asked to go a shade or too darker) and advertise in a local paper within ten days of submitting the application. Fortunately the ladies of Suffolk Coastal’s licensing team were gems and made sure we hit every mark. The real fun began once we received our license – stocking the bar!! Wherever possible we have ‘gone local’ – there are so many great producers in Suffolk, it would be crazy not to. In the summer we visited the amazing Flint Vineyard (www.flintvineyard.com) just outside Bungay on the Norfolk border (about 40 mins away in the car). It’s hard to believe that they have only been going a few years and what they don’t know about wine isn’t worth knowing. It is no surprise that they have already won prizes. Although they have limited amounts at the moment we hope to stock their red, white and fizz. We will also be adding some other interesting (reasonably priced) wines based on some tastings from local wine merchants. Choosing a beer was pretty straightforward as our next door neighbour has just started a micro brewery in Leiston (which you can tour if you wish) and one of their limited edition beers even has hops from their garden. Can you get more local than that?. 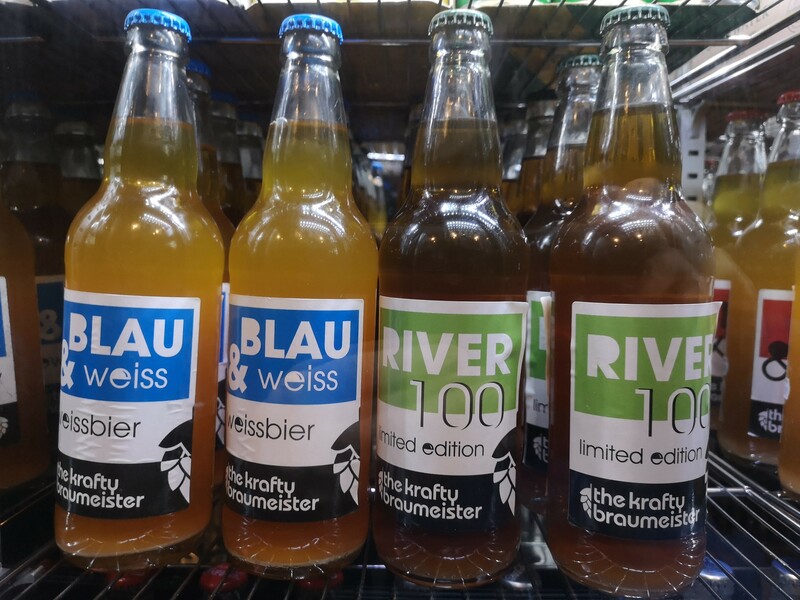 We currently have four different types and all have been brewed in a German style. 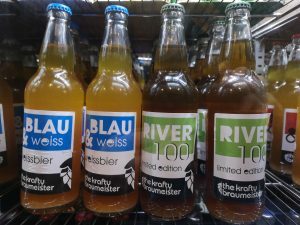 As they conform to the German purity law (‘Reinheitsgebot’ in case you are wondering) it means that they shouldn’t leave you with a hangover – unless you really go hell for leather of course. We also hope to add vodka and gin from Suffolk distillers Flint & Hardings (www.flintandhardings.co.uk). We haven’t forgotten the non drinkers too and hope to stock LA Brewery’s Kombucha (as well as all the usual soft drink suspects). This naturally effervescent living tea full of friendly bacteria might be a tradition of Korea but it is brewed right here in Suffolk. For those spirits that require us to go further afield we have sought some advice and bought a varied selection of single malt and blended whiskies, rum, sherry and port. We are pretty open to adding in some other drinks so that everyone will find their favourite tipple…. within reason. We quite like the idea of a ‘cocktail of day’ – we will see if we have any takers.